My mother loved zinnias and I can see why with their brilliant colors. These pretty flowers add such a beautiful of color to a summer flower garden. What a wonderful subject to attempt to paint! 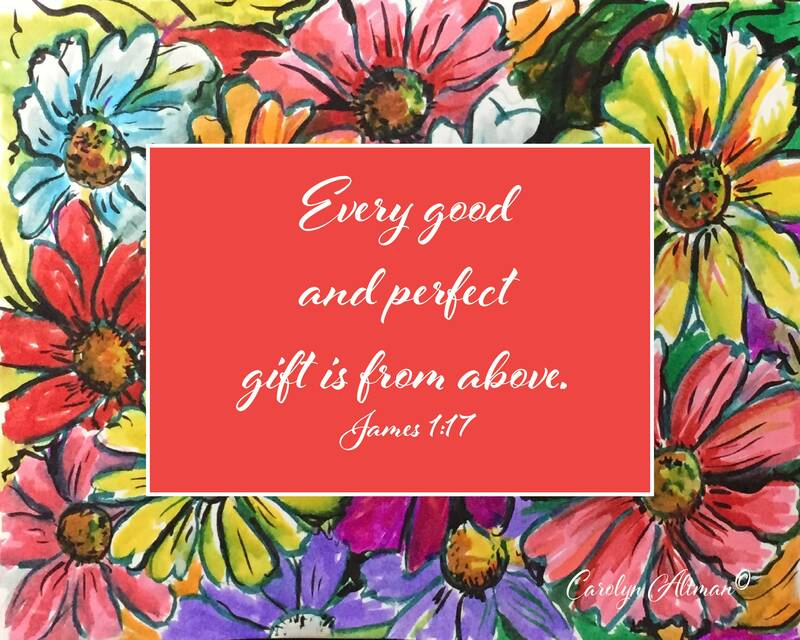 This painting with scripture is available in posters and note cards. The print is also available on canvas without the scripture.